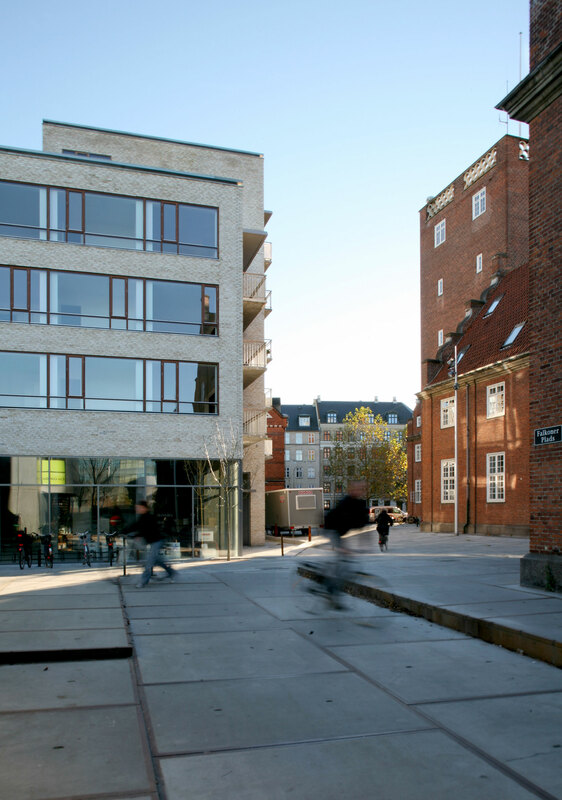 The building completes the new dynamic area with shopping and educational institutions around the Frederiksberg Metro. 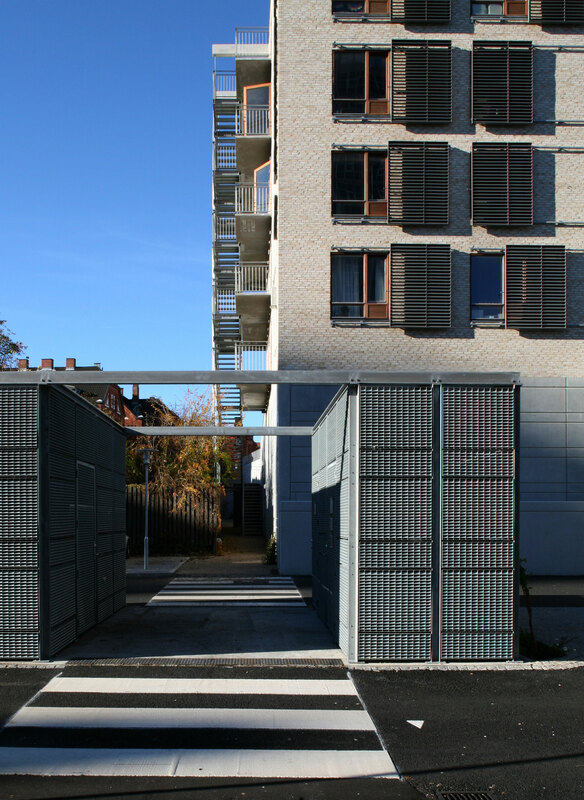 The building consists of a base and two main volumes that adapt to the scale of the area. The retail area and cinema serve the local residents as well as a wider catchment. 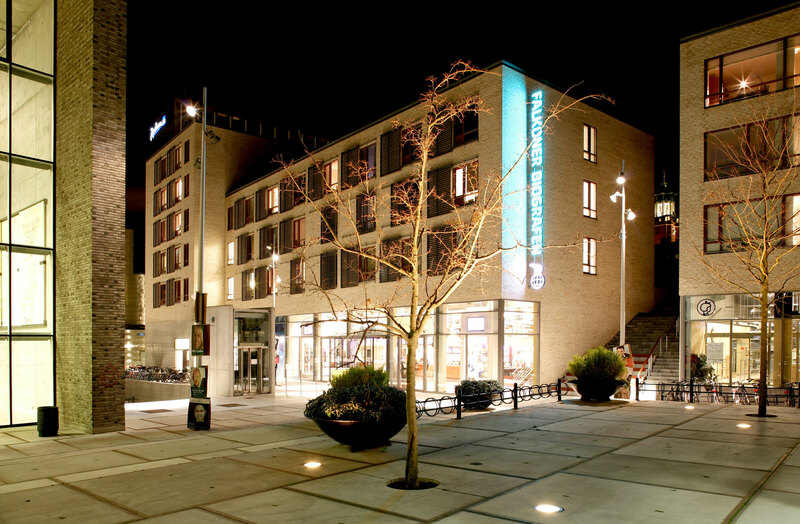 The cinema is a modern entertainment theatre for Nordisk Film Biografer with 6 screens and a café. 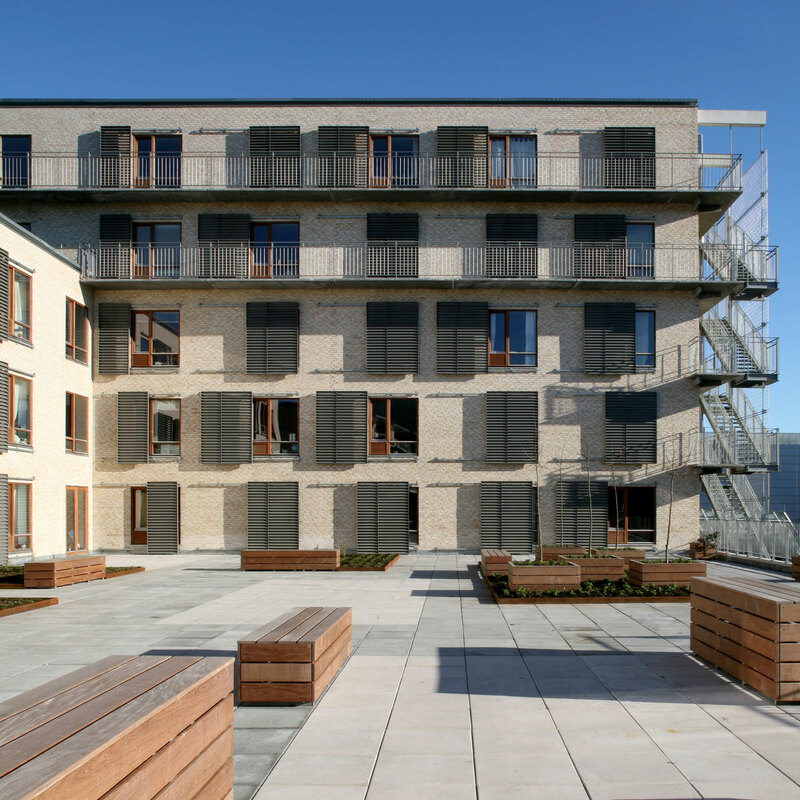 The roof terrace for the youth housing is located on 1st floor level shielded from the general traffic and noise. 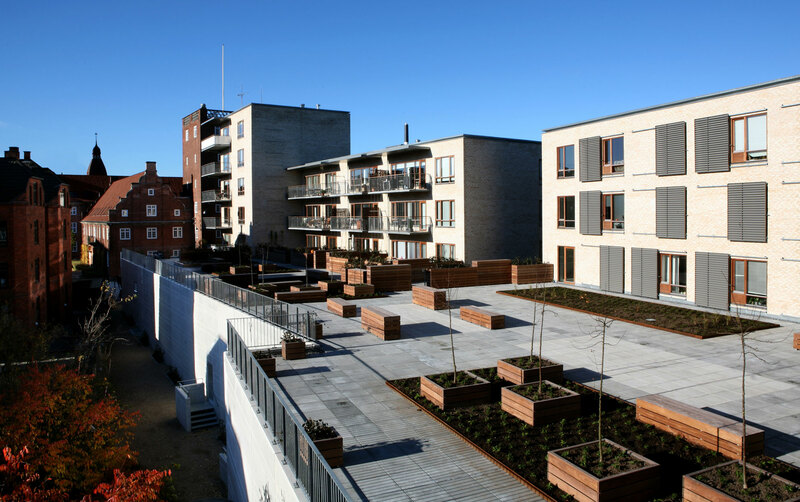 There is a south facing communal garden for all the residents.